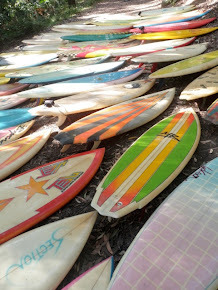 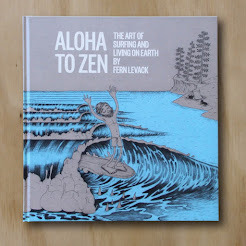 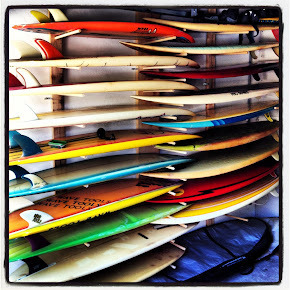 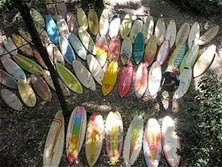 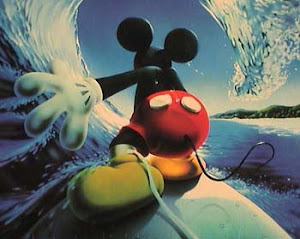 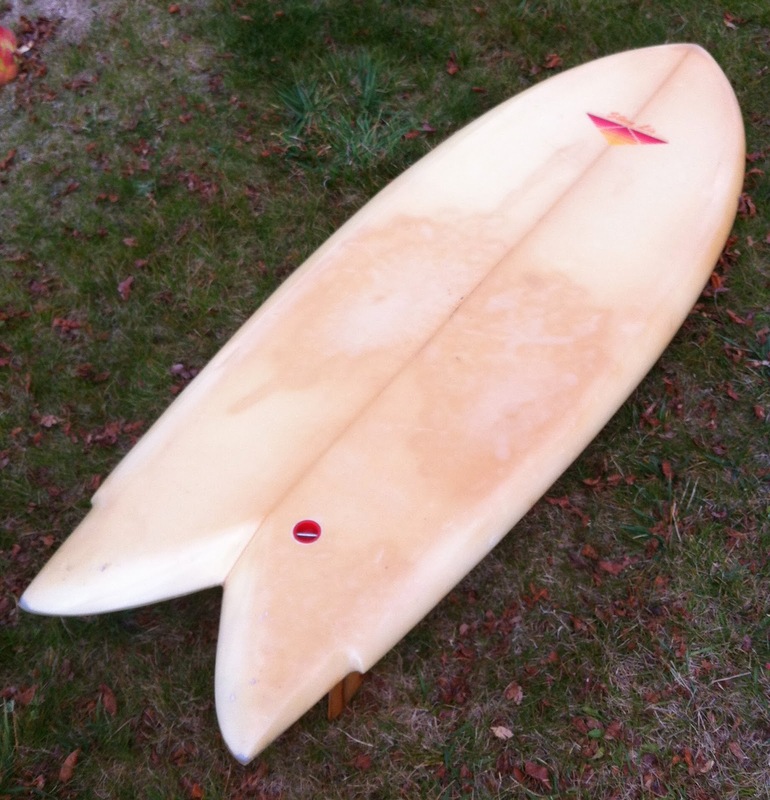 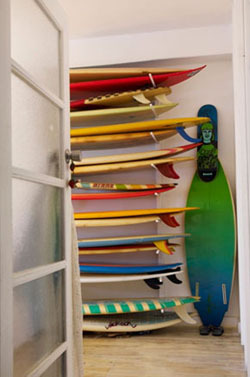 : Board Collector: Steve Lis fishes and the theory that lightning strikes twice. 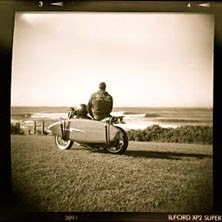 Steve Lis fishes and the theory that lightning strikes twice. 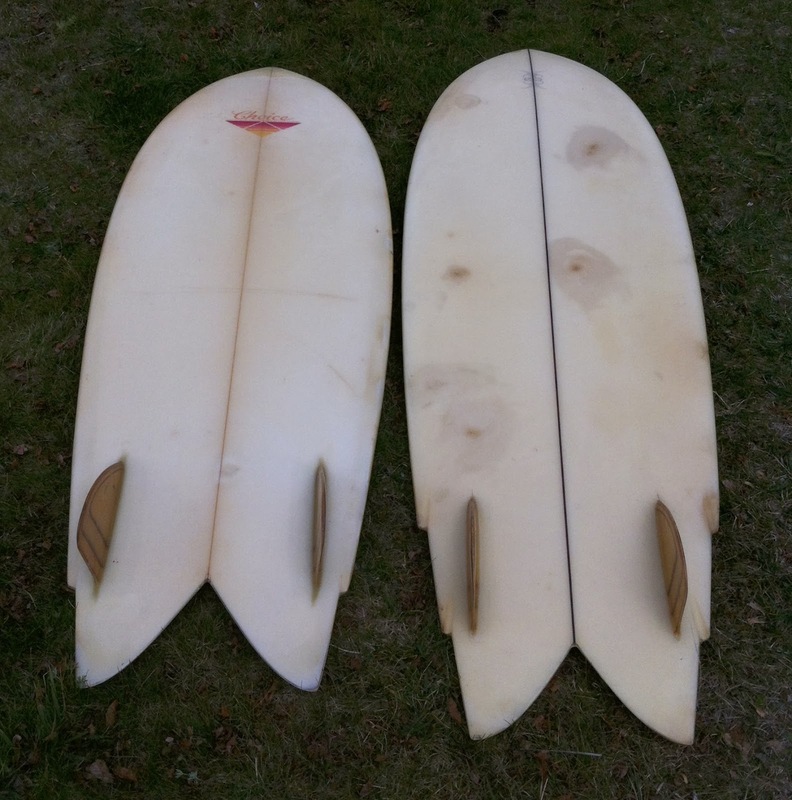 Whilst in San Diego I had the opportunity to visit with a lucky and sharp eyed collector who found not one, not two but three original 70's Steve Lis shaped twin fin fishes at local swap meets and flea markets. 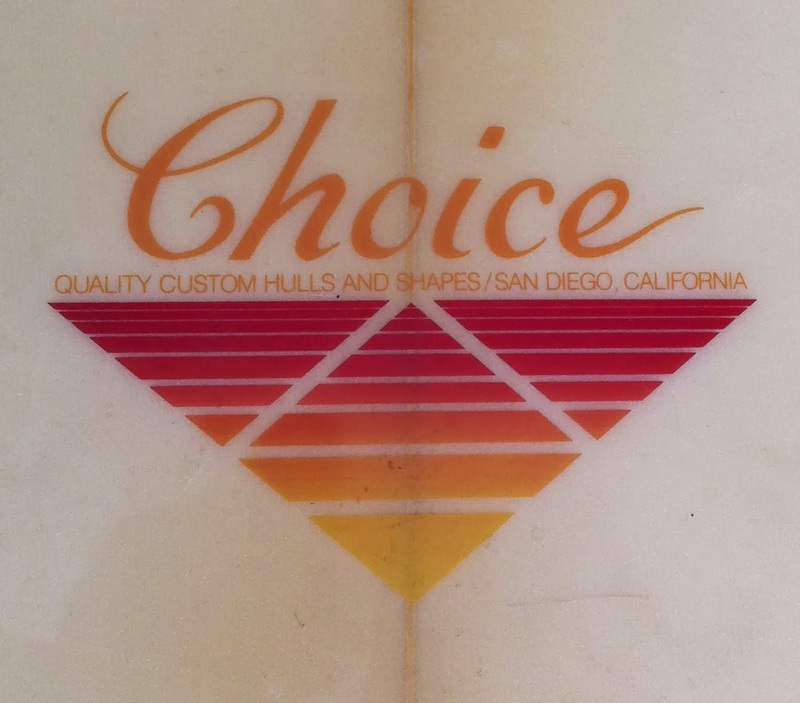 Steve Lis is the godfather of the modern twin fin and he has a god like status in South San Diego County and the reefs of La Jolla, but outside of Southern California his massive influence on modern surf craft is rarely noted. 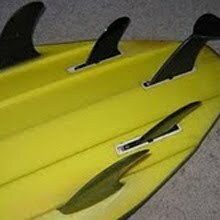 Steve was a kneeboarder and originally developed the split tail to give himself somewhere to put his rubber training wheels, I mean flippers. 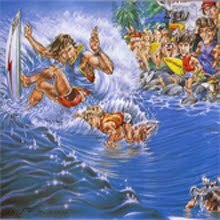 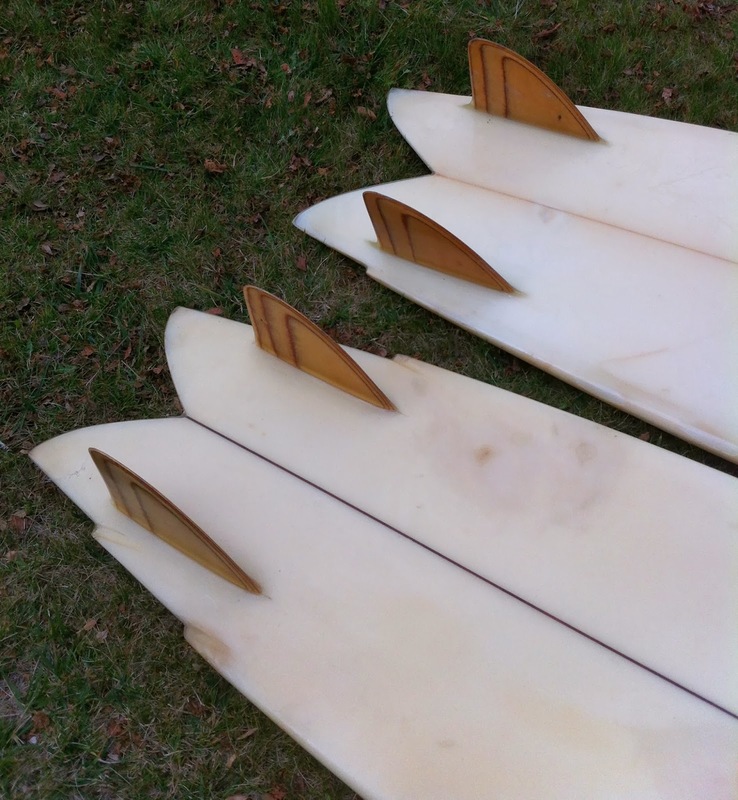 Aiming to achieve two pin tails on one board what he ended up creating was a wide planing area tail that is loose responsive and incredibly fun to surf. 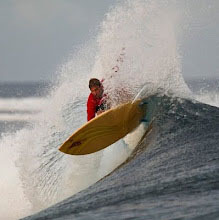 "Just close your eyes and feel those rails"
You can clearly see his kneeboard heritage in his outlines. 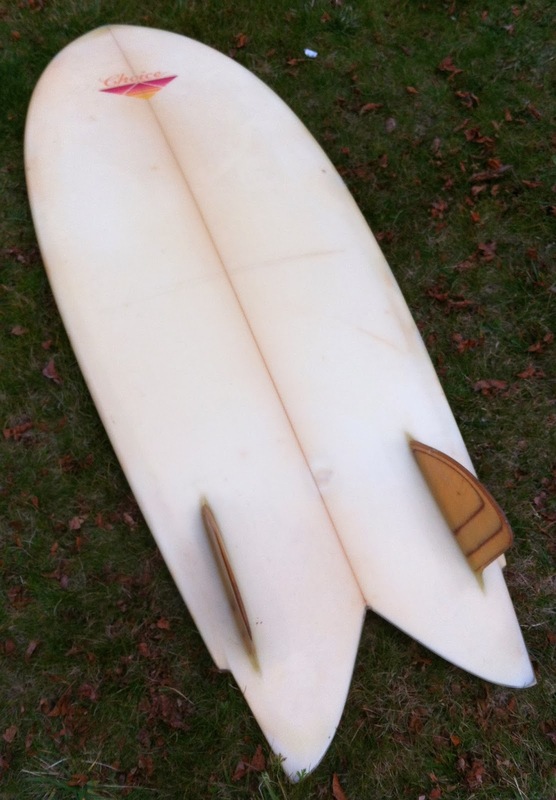 The keel fin, a development he shared with Skip Frye with whom he surfed and shaped, remains one of the defining aspects of californian twin fins. 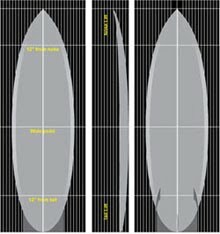 Right up to and through Mark Richards four world titles, californian shapers remained close to the keel fin shape. 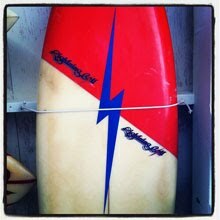 Many Cali twins from the 80's in my own collection share this stubby shape. 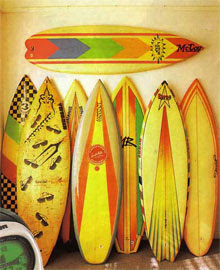 Peter Schroff, South Shore, Lance Collins / Wave Tools, Gary Linden, Bruce Jones to Larry Bertleman. 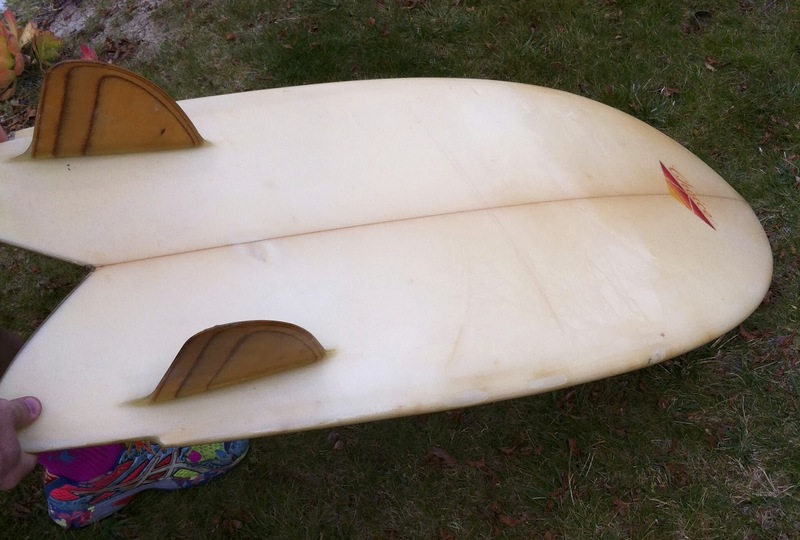 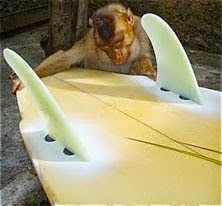 It was a Steve Lis twin fin fish that Reno Abilero was riding at Narabeen that so impressed Mark Richards and set him on the path to developing his own version and using it to take over the world. 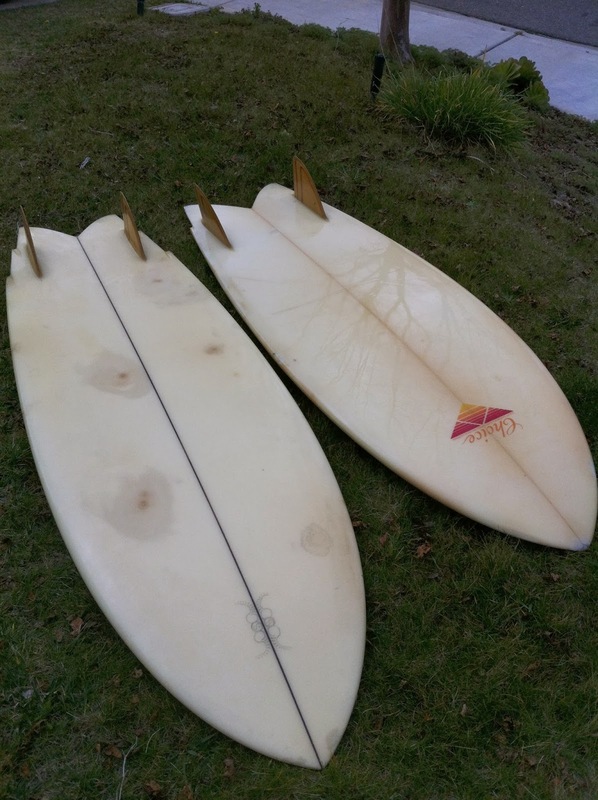 This guy had such sharp eyes he even managed to pick up two matching Stussy twin fins, from different places at different times.